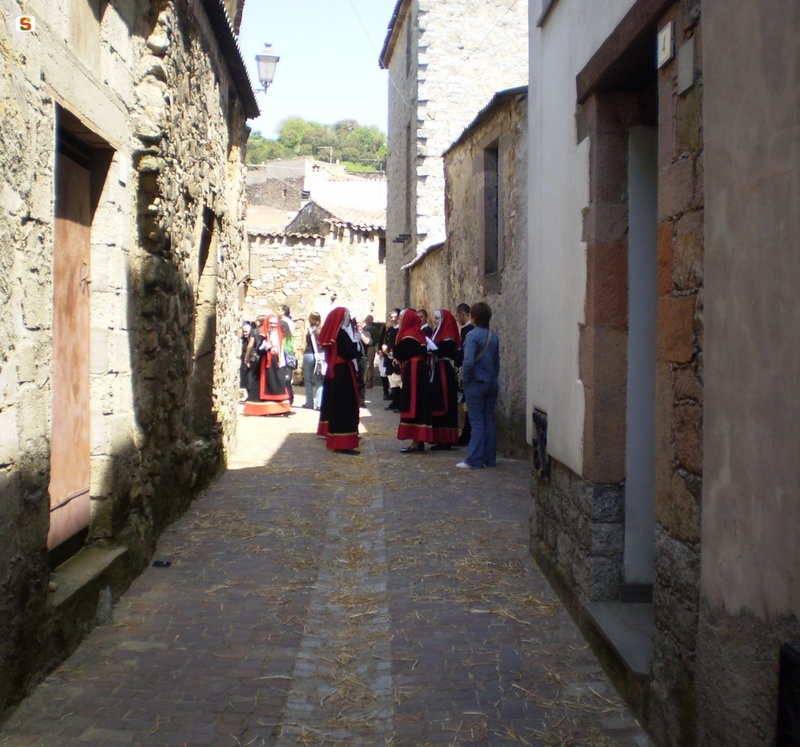 Surrounded by the Mandrolisai forests, this is the most western town in Barbagia. Ortueri is a medieval town with a population of more than 1000, strongly marked by the Roman civilisation, whose remains are spread throughout the territory, including the Pedra Litterada and the sarcophagi dedicated to the gods Mani di Prani e Laccos. It is no coincidence that the original village was located between Travi and Alas Ruinas, an old Roman colony. Today, the old houses in the town centre are piled up against the hillside of sa Serra, laid out around the ancient parish church of San Nicolò. 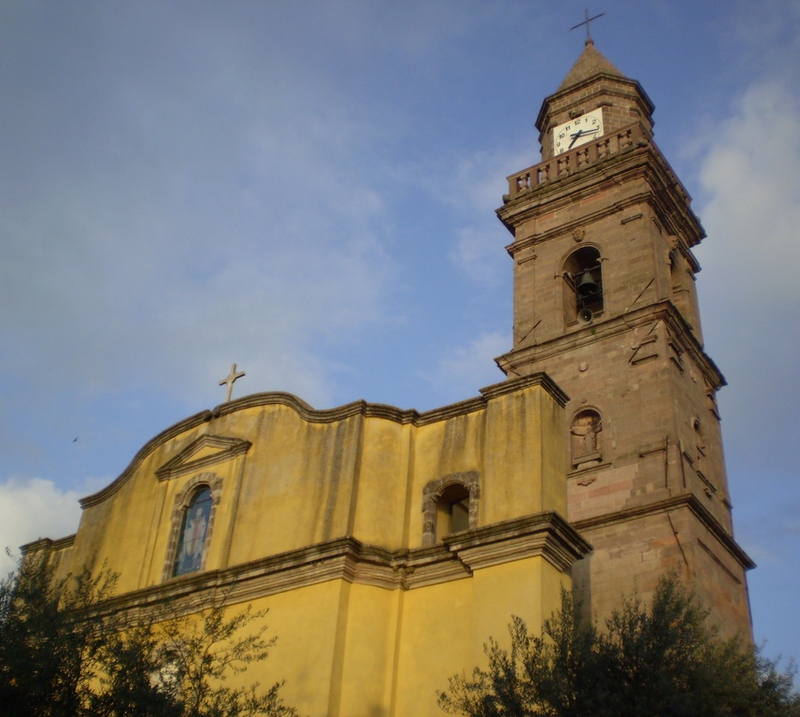 The church, which dates back to the 18th or 19th century, has a majestic, 38 metre-high bell tower. The patron saint is celebrated in early December with a traditional procession, dances and a typical local pastry, s’angule. Other religious festivals linked to the fertility of the earth are held at the end of May in honour of San Nicola di Bari and in September, on the 8th for Santa Maria in the countryside sanctuary named for her, and on the18th for the Madonna addolorata (Our Lady of Sorrows). The village is surrounded by springs and vines, holm oaks and cork trees: Ortueri is known for its cork products and orbace (a coarse woollen fabric) used to make traditional winter clothing by the skilful hands of local craftsmen. Don't miss the two most important events for discovering local crafts and foods: Magasinos Apertos, between May and June, and the Autunno in Barbagia event in December. 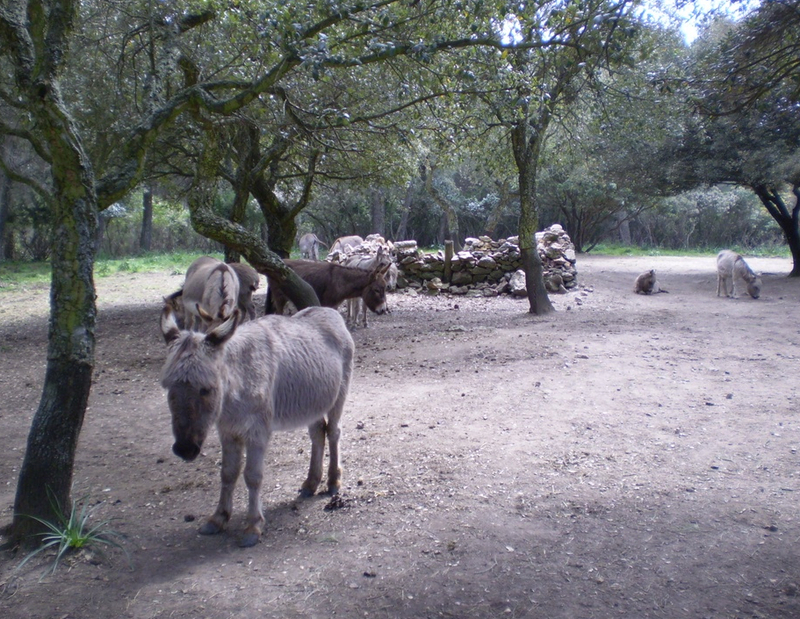 Combine it with a walk in the dense forests and Mediterranean scrub of the Mui Muscas park, which has 50 "protected" Sardinian donkeys. The impervious Pedrarba point, surmounted by the sa Conca ‘e s’Isteddu rock, are of particular natural interest.